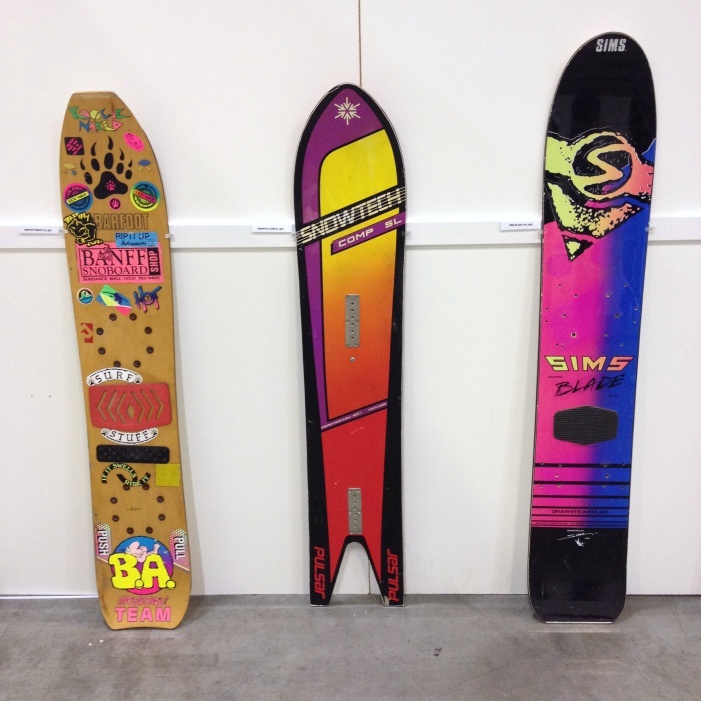 Wanted: a ginormous snowboard rack in Whistler, BC. 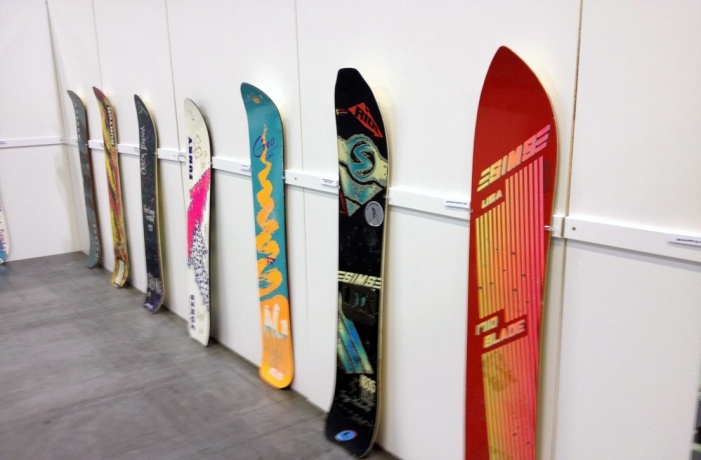 Okay, that’s not entirely accurate – what’s really being sought out is an exhibit space large enough to display the relics and artifacts that capture the history of snowboarding. 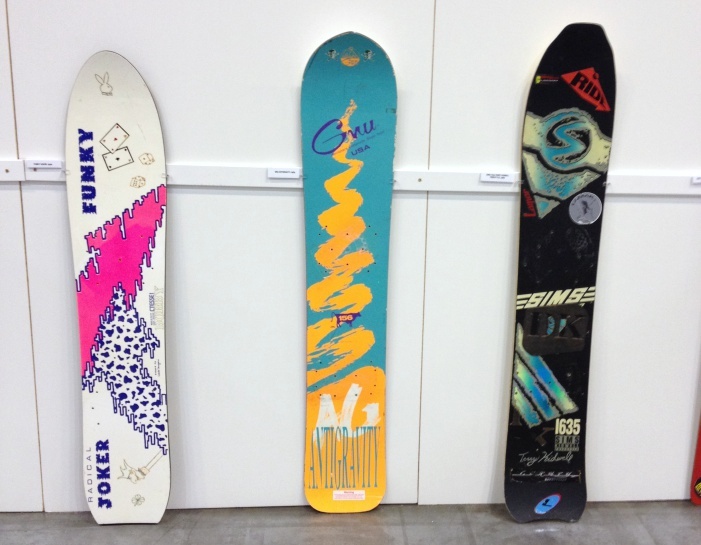 Snowboard photographer Jeff Patterson has been curating a collection of snowboards that represent the evolution of the sport, and now he’s seeking out a place to share them with the public. Without a physical location, the Canadian Snowboarding Museum is still just a concept – but hopefully, that will change soon. 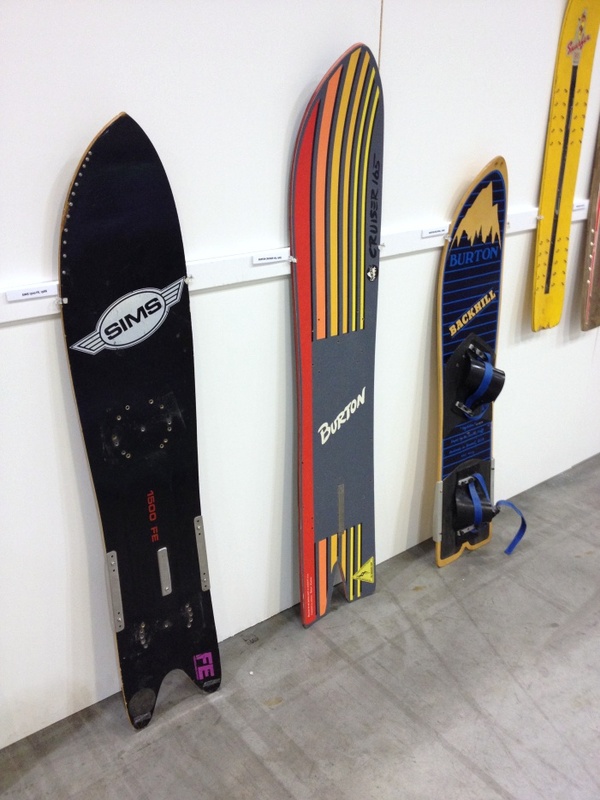 I came across Snowboard Canada’s display of a few dozen boards – merely a sample of the collection, I’m told – at the Vancouver KNOWSHOW. I felt like a kid in a candy shop browsing the boards (the colours! the shapes! ), fantasizing what it might be take them for a spin. We often think of snowboarding as a young sport, but the truth is that it’s come a long way in the past half century. The sport already has plenty of history, and yet we’re lucky enough to have many of the original founders, legends, and industry shapers still with us today. It seems like the perfect combination to set the foundation of a national museum: enough old stuff to build impressive displays, plus first-hand narratives from the very people who have been there from the start. With its prominent snowboarding culture and steady stream of tourists, Whistler is the obvious choice to play host to the Canadian Snowboarding Museum. For now, the challenge is finding a foot traffic friendly location with enough space to showcase the goods – oh, and a budget to make it all happen. Until the Canadian Snowboarding Museum finds its eventual home, you’ll have to satisfy your vintage snowboard craving on the beta site. If you have a rich uncle who wants to donate a museum-sized space in Whistler Village, get in touch with the crew. Maybe we can convince Mr. Audain to contribute a little space in the upcoming Audain Art Museum to local culture… stay tuned.